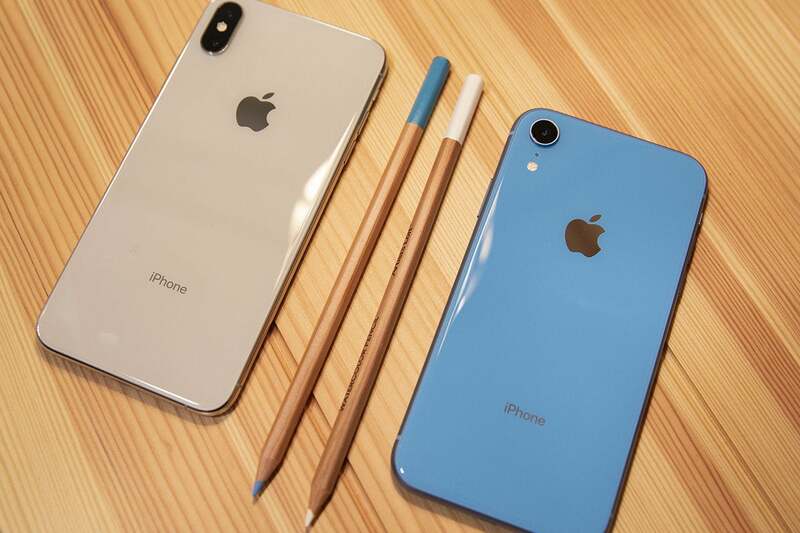 We may never know what the R in the iPhone XR actually means—Apple VP Phil Schiller himself said that the R doesn’t really mean much to Apple. But I have my own guess: reboot. Before the release of the iPhone X last year, the iPhone 8 was in need of a redesign. It had been some three years since Apple first unveiled its large-screen iPhones, but nothing about them changed much since the iPhone 6. The iPhone 8 brought wireless charging and a better camera, but it didn’t look or feel like a 2017 phone, let alone a 2018 one. But rather than scrap the idea of the iPhone 8 and go all in on the higher-priced and margined X, Apple went back to the drawing board to create a seemingly impossible iPhone that had the specs of a proverbial iPhone 9, the look of an iPhone X, and the price of an iPhone 8. The iPhone XR’s glass back is smooth to the touch but not overly slippery. Like any reboot of a classic, the iPhone XR could have gone spectacularly wrong. But with the iPhone XR, Apple nailed it. The chip, battery, and storage are all best in class. The price slides nicely in between the iPhone 8 Plus and the iPhone XS. 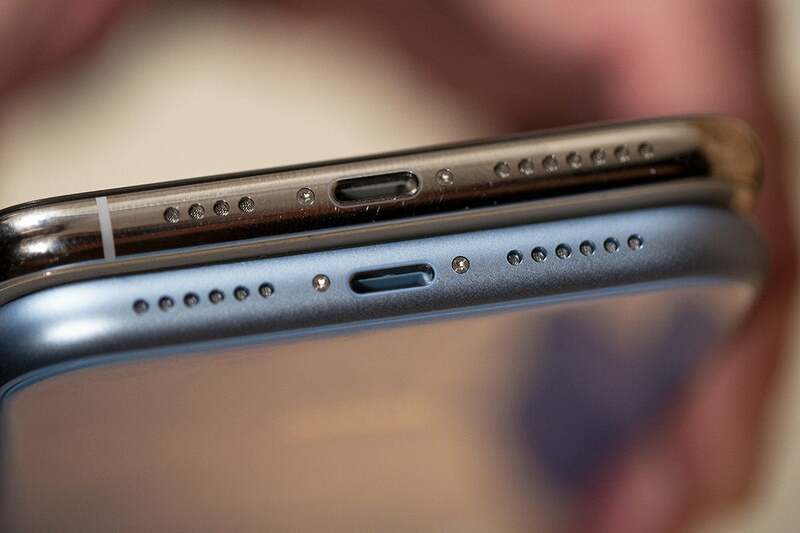 And the design is close enough to the iPhone X and XS that from a reasonable distance the phones look identical—maybe you even expected some serious compromises that push people to the upper models in a bait-and-switch move. That’s not the case. When you take everything into consideration—price, design, storage, camera, battery life, and performance—the iPhone XR might be the best iPhone Apple has ever made, even if it’s not technically the most advanced. In fact, I’d venture to guess that more people are going to buy an iPhone XR over an iPhone XS. It’s just that good. 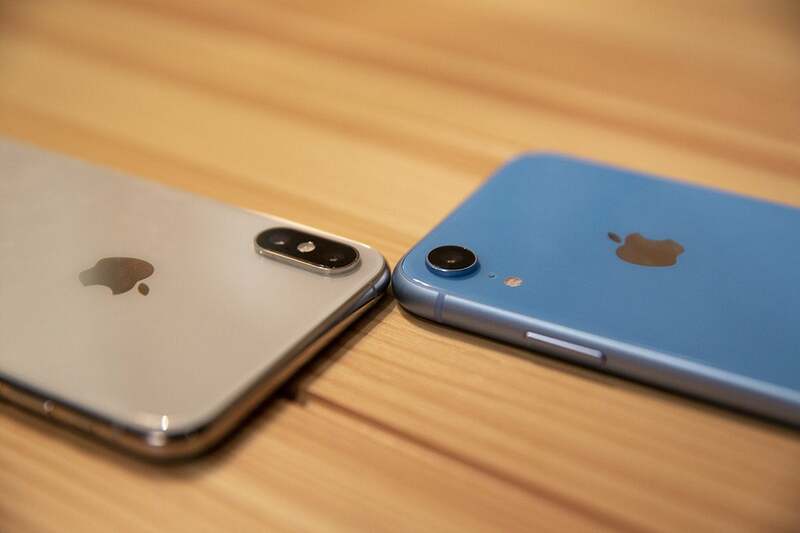 The iPhone XR is basically the iPhone XS’s fraternal twin. It has the same shape, same glass back, same contoured band, same rounded corners. And it’s got just as big of a notch at the top of the screen. Pick it up and it feels just like a slightly thicker XS. The 6.5-inch iPhone XS Max (left) is quite a bit bigger than the 6.1-inch iPhone XR. Beyond their superficial similarities, there are distinct differences between the two phones. Most notably, the XR’s glass back comes in a variety of colors that give it a playful personality. The sides are made of aluminum, a material downgrade from the stainless steel on the XS, but they’re anodized to perfectly match whichever color you choose. It’s a subtle change that comes down to a matter of preference, but I actually preferred the XR’s matte finish to the XS’s shiny chrome. The XR is easily the most unique iPhone since the iPhone 5c, and I suspect most people are going to opt to use it without a case. Apparently Apple does too, so much so that it’s not selling a first-party case for the XR. To that end, Apple claims that the glass covering the display is stronger than any iPhone that came before, and the rear glass, while not as shatter-resistant as the iPhone XS, is at least as good as the iPhone 8. It also has a tackier feel than the XS, at least to my fingers. 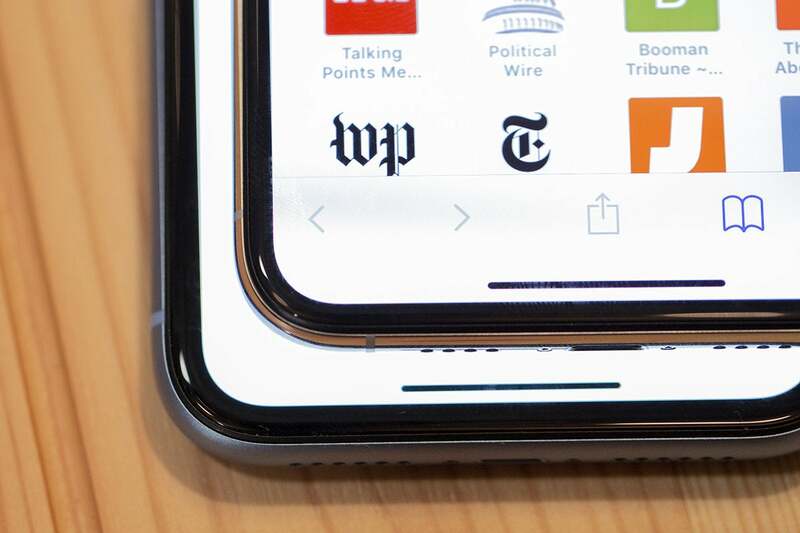 The Lightning port on the iPhone XR (bottom) is slightly off-center as compared to the iPhone XS Max. If you’re a stickler for symmetry, you’ll notice that the Lightning port on the bottom edge is ever-so-slightly off-center, likely due to the whatever engineering tricks Apple is performing under the screen to get the bezels uniform. And bezels there are. If there’s a knock against the iPhone XR’s design it’s that the bezels are distractingly thick, to the point where it almost feels like a cheap iPhone XS knockoff. It’ll surely be a deal-breaker for some, but there’s a perfectly valid reason for such thick bezels: the iPhone XR uses an LCD screen so it needs to be constantly backlit. As such, the extra millimeter ensures there won’t be any light leakage or bright spots. It’s a fine trade-off when you consider the alternative would have been a deeper chin and forehead. Besides, bezels are a superficial issue anyway, and they’ll quickly melt away as you use it. While the iPhone XR’s display might look like the one on the XS, make no mistake: it’s basically a larger iPhone 8 Plus with rounded corners. That means its 720p HD LCD display is a step below the Full HD screen on the iPhone 8 and a far cry from the near-2K OLED on the XS. The screen on the iPhone XS Max (right) is noticeable crisper and clearer than the iPhone XR, but you’ll only notice it if you hold them side by side. But the iPhone XR is still in the Retina zone, which is all that really matters. When Apple coined the term Retina back in 2010 with the 3.5-inch iPhone 4, its 326 ppi measurement was exactly the same as it is the iPhone XR. That was then, and display tech has improved tremendously over the past eight years, and even giant phones have insanely high pixel densities, like the Samsung Galaxy Note 9 (516) and Google Pixel 3 XL (523). Even if you compare apples to apples with another 6.1-inch LCD phone such as the LG G7, the XR gets trounced (563 ppi to 326 ppi). That’s a bigger dealon paper than in practice. Anything over 300 ppi is basically indistinguishable to the human eye, so based solely on resolution, the iPhone XR will look just as good as the iPhone XS or Galaxy Note 9. Even when playing scaled-down HD content on Netflix or YouTube, it’s very hard to discern much of a difference in picture quality between it and a screen with a higher resolution. However, displays are more than the sum of their pixels, and the color accuracy and saturation on the iPhone XR’s LCD is nowhere near as good as a high-quality HDR-certified OLED. 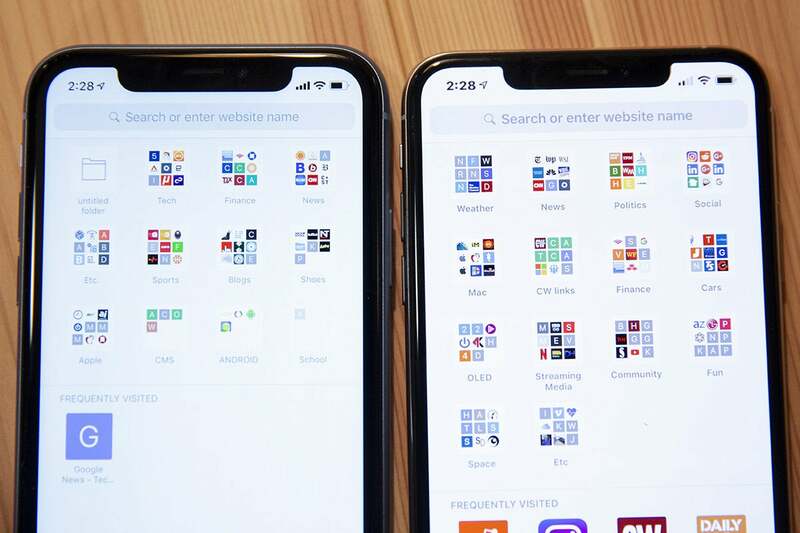 It’s not nearly as noticeable in everyday use as it is when comparing it side by side with the XS or the Pixel 3, but the LCD on the iPhone is definitely a downgrade from premium OLED phones. The bezels on the iPhone XR are noticeablt thicker than on the iPhone XS Max. But within its own context, the XR’s LCD is pretty remarkable, with excellent white balance and stunning brightness. It might not have the deep blacks of OLED, but like the iPad Pro, the XR still feels like a modern smartphone display, especially with True Tone turned on. Apple’s 120Hz sampling makes elements appear quicker when tapped and touched, and while animations aren’t quite as speedy as they are on the iPad Pro’s ProMotion screen, it goes a long way toward making the XR feel faster than it should. And the rounded corners and balanced full-screen design truly belie its price tag. You lose 3D Touch, but something like icon shortcuts can be added later using haptics. While using the iPhone XR, I didn’t really miss my OLED phones much at all, and the only criticism I can level is the viewing angle, which is significantly narrower than older LCD iPhones. What I did miss from those Android OLEDs was an ambient display. Despite the introduction of OLED screens, Apple has stubbornly refused to implement an always-on display on any of its phones. As such, the screen lights up every time a notification comes in, and the lock screen needs to be fully illuminated just to check the time. I’d love to see an ambient display added to the iPhone XR in iOS 12.3 as part of Apple’s customary mid-cycle feature supplement. With fewer pixels to push, the iPhone XR is actually able to beat the iPhone XS and XS Max in one key category: battery life. 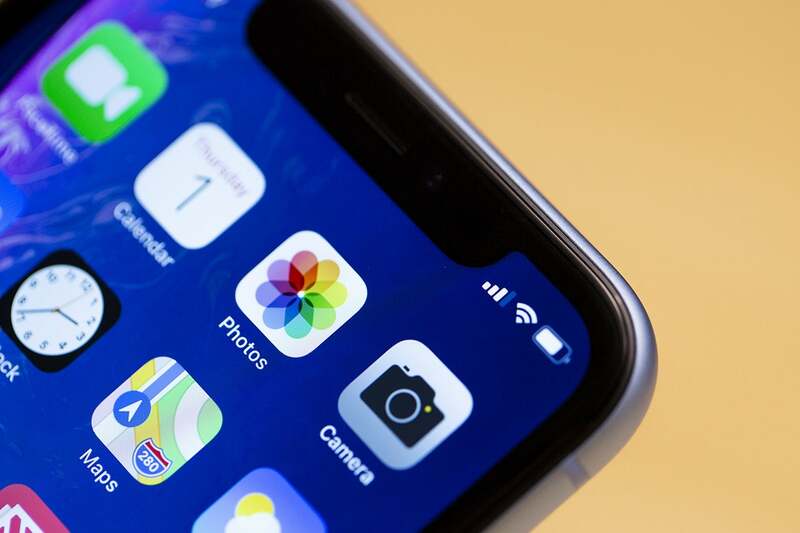 Even with a sub-3,000 mAh battery capacity, the iPhone XR is one of the longest-lasting phones at this or any price range, and it ran circles around the Pixel 3 XL and Galaxy S9. It even gave the Galaxy Note 9 and its 4,000 mAh battery a run for its money. I consistently got 7 to 8 hours of hard-pushing screen-on time (games, movies, streaming, etc), and close to 10 on less strenuous days. I never had to charge the iPhone XR before my day was over, including one particularly lengthy stint while streaming Apple Music and using turn-by-turn navigation. Despite a smaller battery, the iPhone XR (right) actually lasts longer than the iPhone XS Max. Apple hasn’t cut back on performance to boost the iPhone XR’s battery life either. The XR has the same A12 Bionic chip as the XS, and it’s a straight-up screamer. Apps and animations fly across the screen due to a combination of the processor’s speed and usual iOS optimization, and anyone upgrading from an iPhone 6s or earlier—which I suspect will comprise a large portion of sales—will see a tremendous speed boost. 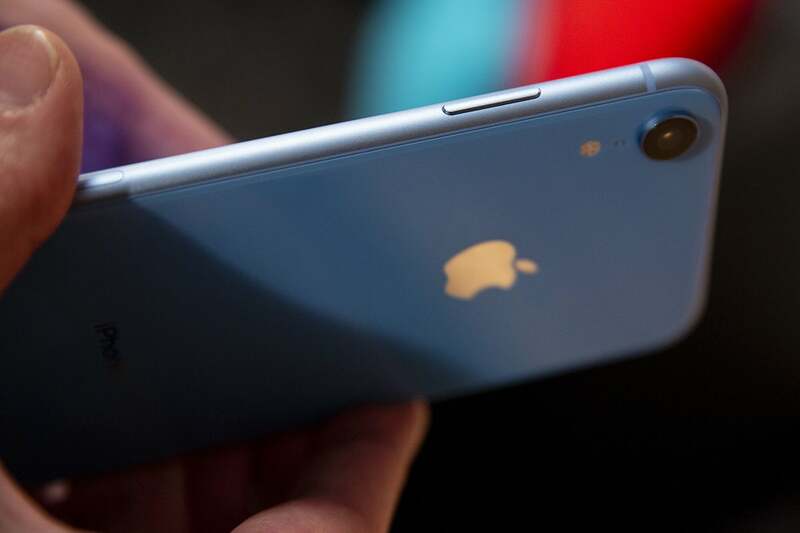 Even moving from an iPhone 7 will be a profound improvement. In our Geekbench 4 tests, we found that the iPhone XR’s speed falls right in line with the Phone XS and XS Plus. Compared to the iPhone X, the XR is 13 percent faster in single-core performance, and about 10 percent faster in multi-core. 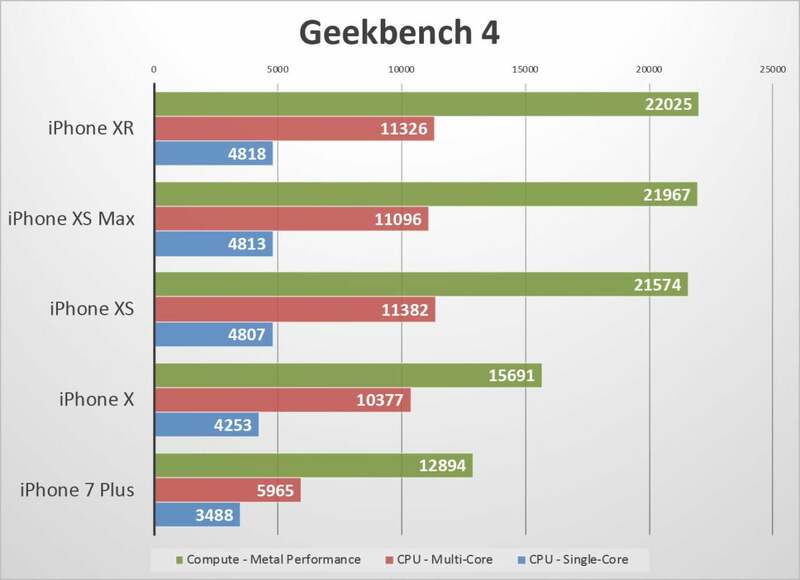 You can get the complete story of our benchmark results (which include several other tests) in our iPhone XR benchmark article. Higher scores/longer bars indicate better performance. Click to enlarge. And it’s small thing, but I appreciate the storage tiers on the XR as well. While it has the same 64GB base tier as the higher-end phones, Apple forces customers to spend an extra $150 for 256GB of storage on the XS, artificially inflating the price for more storage than most people will need. On the XR, you can double the storage to 128GB for just $50, which is much more palatable. A rear fingerprint sensor would have been an easy way out for the iPhone XR, offering a familiar biometric while allowing an even smaller notch on the front. Instead, Apple put a next-generation True Depth camera in the XR, and like the chip and design, it puts Apple’s cheapest phone on equal footing with its most expensive. The iPhone XR’s notch hides the same True Depth camera and sensors as the iPhone XS. Face ID on the iPhone XR is every bit as extraordinary as it is on the XS, and slightly quicker and more forgiving than the iPhone X. It’s not just an improvement over Touch ID on the iPhone 8, it delivers the same surprisingly delightful ease of use that I felt the first time I used the iPhone 5’s fingerprint sensor or the original iPhone’s slide-to-unlock bar. You won’t realize just how clunky reaching for a fingerprint sensor is until you experience Face ID for the first time. On the iPhone XR, Face ID feels way more mature than it did on the iPhone X. You can add a second face, and the integration with password managers and other apps makes it far more useful than as a mere unlocking mechanism. But most people who buy this phone will care more about Animoji and Memoji, which both work just as well on the iPhone XR. For most people, the True Depth camera is more likely a bonus than a reason to buy the XR, but it’s presence on the XR goes a long way toward elevating it to top-tier status. That’s mainly due to iOS 12. There’s nothing here that you can’t get with the iPhone 7 or 8, but coupled with the A12 Bionic chip, iOS 12 feels right at home on the XR. Gesture navigation is smart and fluid, Face ID is insanely fast, and app switching is incredibly smooth. I’d still like actually split-screen multitasking and an app drawer, but iOS 12 simply shines on the XR. Other than the display, the other semi-sacrifice the iPhone XR makes is with the camera. Instead of a dual array like the one the iPhone XS, the XR has a solitary lens on the rear. Apple did the same thing to distinguish the iPhone from the Plus models, and just like those phones, you lose the zoom lens. One of the main differences between the iPhone XR and iPhone XS Max is the camera. While the lack of a 2X optical zoom could certainly be a deal-breaker for some, I found the XR’s digital zoom to be perfectly adequate in most situations. Yes, it’s noisier than optical zoom and sometimes the zooming algorithm picked the wrong white balance, but the digital-only results are hardly unusable. Unless you rely on zoom a great deal, you probably won’t miss it. Since the iPhone XR can’t take non-person portraits, the Pixel 3 XL (center) and Galaxy Note 9 (right) handled the depth in this photo of a flower much better. In the photos below, you can see the iPhone XR’s portrait engine at work. It’s digital wide-aperture is just as good as the Pixel 3 XL (center) and Galaxy Note 9 (right). And it nailed the color in my son’s cheeks as well. To compensate for the zoom lens’ bokeh duties, Apple has upped up its computational photography game to allow the XR to take portraits, a first for a single-camera iPhone. And they’re quite good. When compared with the Note 9’s dual-camera system, the XR was able to discern the background from the subject just as well (and oftentimes better), and was mostly able to keep pace with the Pixel 3 XL’s exceptional abilities as well. It’s a bummer that portrait mode doesn’t work with anything other than people, but it’ll be interesting to see how Apple enhances its processing engine, assuming future iterations of the XR stick with a single lens. The iPhone XR (left) consistently handles exposure and contrast better than the Pixel 3 XL (center) and Galaxy Note 9 (right). When taking regular pics, the XR is basically an XS, which is to say it’s one of the best cameras you’re going to get in a smartphone. Even in a season with serious thousand-dollar standouts, the $750 iPhone XR doesn’t give up anything to its peers, and I consistently took top-notch, gallery-worthy shots. Apple’s professing engine often split the difference between Samsung’s slight overexposure and Google’s artistic underexposure to capture crisp, detailed, and hyper-realistic shots that needed little re-touching. The XR excelled in all kinds of light, and while it’s low-light mode isn’t quite as good as the Pixel 3 XL’s fantastic Night Sight, I wouldn’t hesitate to recommend the XR to anyone debating between it and a higher priced phone. 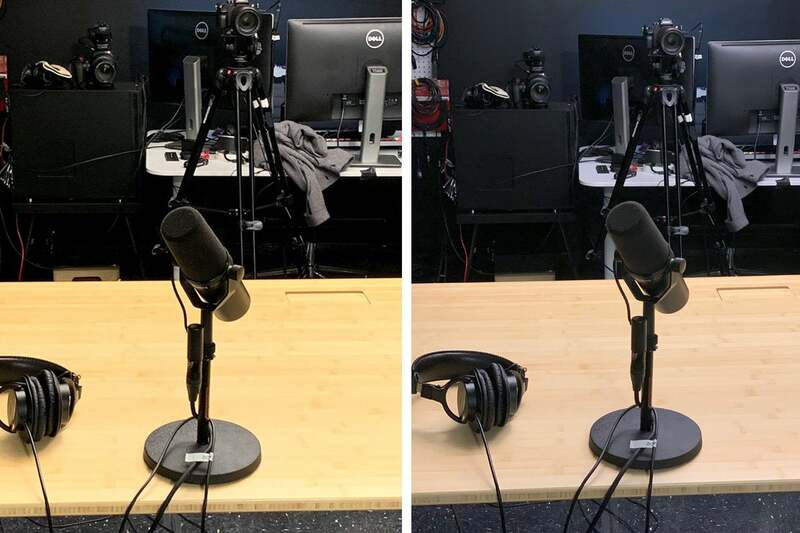 The iPhone XS Max (right) takes clear and color accurate photos when using the 2X optical zoom, but the iPhone XR’s digital version isn’t terrible. I snapped all of my photos with Smart HDR turned on, mainly because Apple makes it needlessly complicated to turn if off. Instead of a toggle in the app, you’ll need to go the the Camera settings in the Settings app. Apple has given the XR the same ability to adjust portraits as on the XS: You can adjust the depth of field before taking a shot (by tapping the “f” button in the top right corner, and after (by tapping Edit in the Photos app). You can’t use stage lighting on the XR. Even without optical zoom, I missed the one-tap 2X zoom button above the shutter. It’s much handier than pinching. Apple’s stock camera app still stubbornly lacks a real set of manual controls, but there are a variety of third-party apps that will provide that functionality. While the iPhone XR obviously takes its cues from Apple’s thousand-dollar flagship phones, it’s priced like an iPhone 9 would be. In an alternate reality where the iPhone X never existed, the XR would be the most exciting iPhone in years, and people would be lining up to buy one. 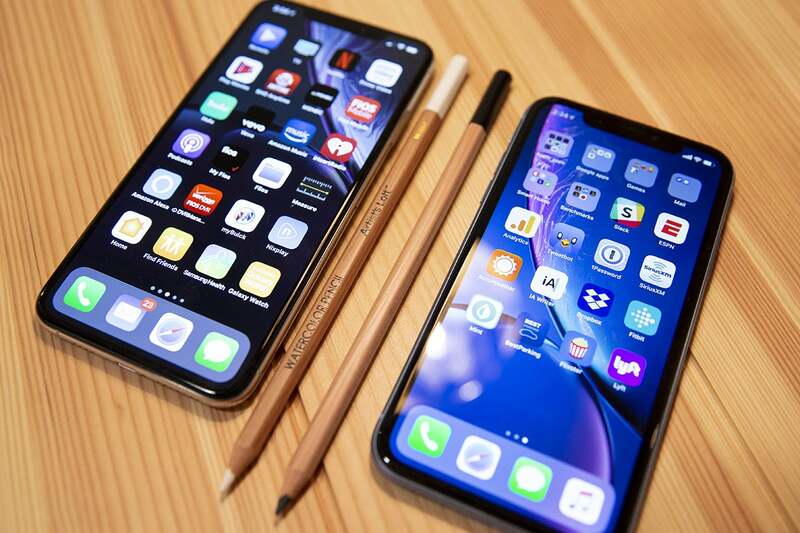 The iPhone XR (right) doesn’t have as good of a screen or camera as the iPhone XS Max, but you can’t beat the value it provides. As such, the iPhone XR gets second billing to the iPhone XS and is seen as a lesser alternative. It’s most definitely not. It might not be quite as cutting-edge as the XS, but it’s a massive improvement over the iPhone 8 and 8 Plus, and even with a single camera, the XR is able to take stellar photos, even portraits. 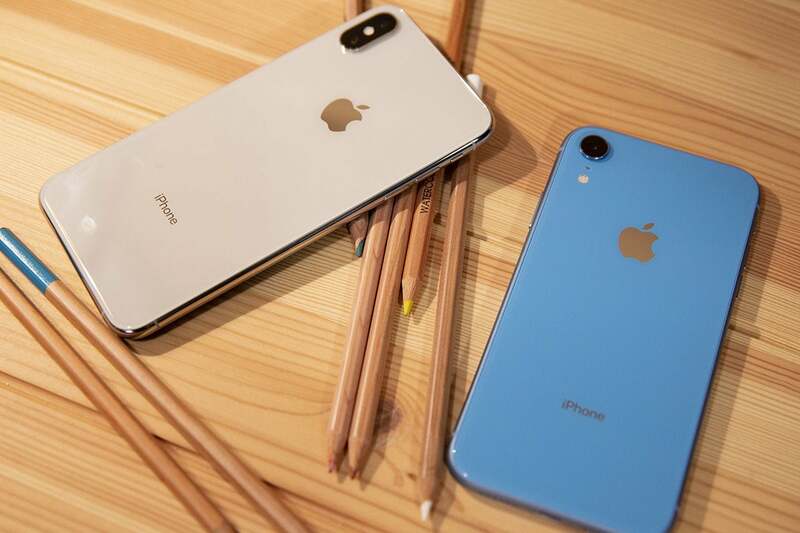 Easily, the iPhone XR is the best entry-level iPhone Apple has ever made, and it’s not much of a stretch to say that the iPhone XR is the greatest iPhone Apple has made to date, with a perfect blend of good, better, and best. If you’re upgrading from an iPhone 7 or earlier and balk at spending a thousand dollars on a phone, the iPhone XR is really a no-brainer. The new design is a massive improvement over the home button-centric one, and the battery life is the best I’ve ever experienced in an iPhone. And iOS 12 just brings it all together. Quite frankly, anyone on the iPhone Upgrade Program should consider the XR as well. That includes people using an iPhone X. I swapped my 256GB iPhone X for a 128GB XR, and I saved $15 a month in the process, and I haven’t regretted it. So you can add higher payments to the list of things you won’t don’t miss with the iPhone XR.